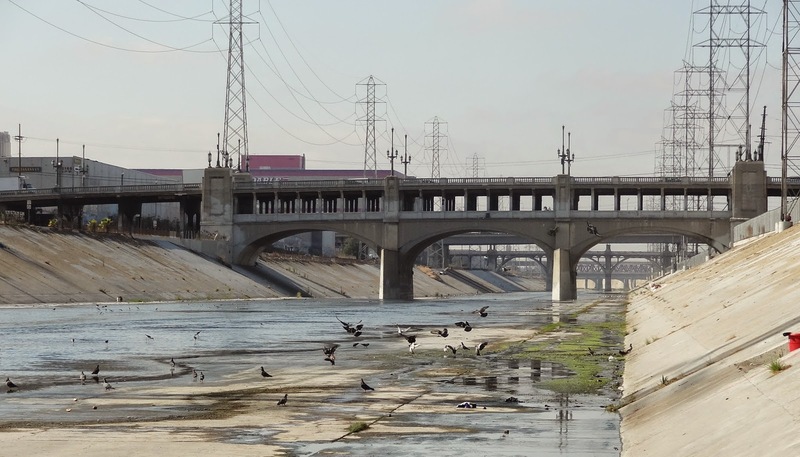 Now that we're in the middle of the downtown area the Los Angeles River bridges are stacked more closely together. Just beyond yesterday's Sixth Street Bridge is the Seventh Street Bridge with more bridges visible behind it. What's apparent in the photo is that the city spent some money on the river crossing while the approach structures are unadorned and rather shabby looking. We last looked at today's bridge in 2013. As I mentioned at the time, the lower deck was built in 1910 for a trolley line. By 1920 the lower deck was determined to be too low and so they built a top deck and abandoned the bottom deck which is now used by the homeless. 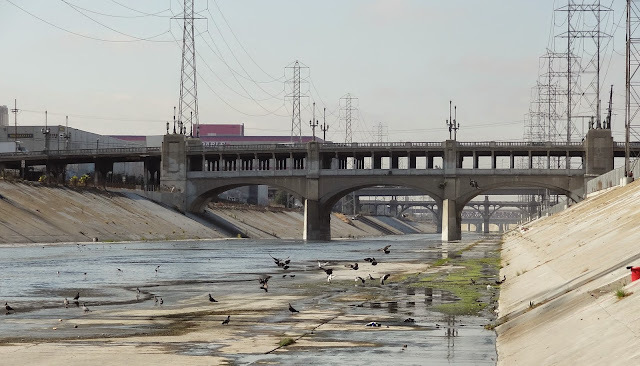 Los Angeles County, California Bridges: Seventh Street Bridge across the Los Angeles River by Mark Yashinsky is licensed under a Creative Commons Attribution-NonCommercial-NoDerivatives 4.0 International License.